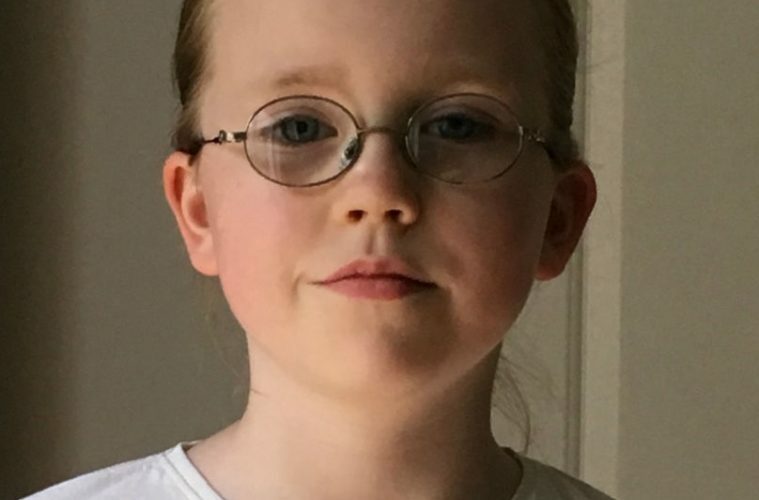 Ciara recently set up a website traversing her journey through learning about Space and Science and she has hopes to bring other children in Ireland on her journey. She will soon be going on a trip to the Jet Propulsion Laboratory in Pasadena and looks forward to bringing this trip to her subscribers as well. We hear from her in this interview about what she is doing and why. I am 10 years old and live in County Westmeath with my Mum, Dad and little sister Megan. I am in fifth class in School and spend my time playing with my friends and also games like Minecraft, Chess, reading and now these days researching space and science information. Why are you doing this blog? I have been really interested in space and science since I was 4 years old and my family went to the Armagh Planetarium for the first time. The more I explored space in books, films and meeting people, the more I wanted to be a part of it. I have attended a lot of events and workshops also to build up my knowledge. I found Dublin Maker over the last 2 years brilliant and have done several Anyone 4 Science workshops during the holidays. There was a couple of talks that I really enjoyed at this years Festival of Curiosity as well. This blog was my way of telling people how I grew my knowledge and how they can too. Over the course of the last few years I have been to Dunsink Observatory, the National Space Centre in Leicester, UK and of course Armagh Planetarium a few times. I have met and spoken with some really helpful people too like Jordan Evans of the Jet Propulsion Laboratory, Pasadena, Dr Niamh Shaw of Get Niamh to Mars and most recently Mark Langtry also known as Mark the Science Guy. What is the goal of it, who is it aimed at? I also started writing this blog to have a written record of my experiences and hopefully to encourage other kids to get involved. I think some children think that its only grownups that can learn but I don’t think its ever too early to learn about something you can get passionate about. I guess although I am targeting children it will be the parents that get to hear about it first. That is why my Mum helped put my blog on the website www.ciarasjourney.com and set up my social media for me, which she manages. I would really love to help other kids get an interest in space and science so by telling them how I do it and what I have learned along the way I hope it encourages them to also learn. If people would like to visit my website and subscribe to my updates then please do. These include videos and blogs about things I have learned about and places I have visited and of course people I have met. What is coming up for you in the coming weeks and months? I am going to be going to the Jet Propulsion Laboratory in Pasadena soon. Jordan Evans, the Director of Operations gave me a personal invite! He will be showing me around the facility and showing me things they are preparing for the Mars 2020 mission. There are other things planned more locally too but nothing confirmed at the moment so can’t really say! I would love for people to learn about NASA JPL with me so if they want to see what they revealed to us then please subscribe!